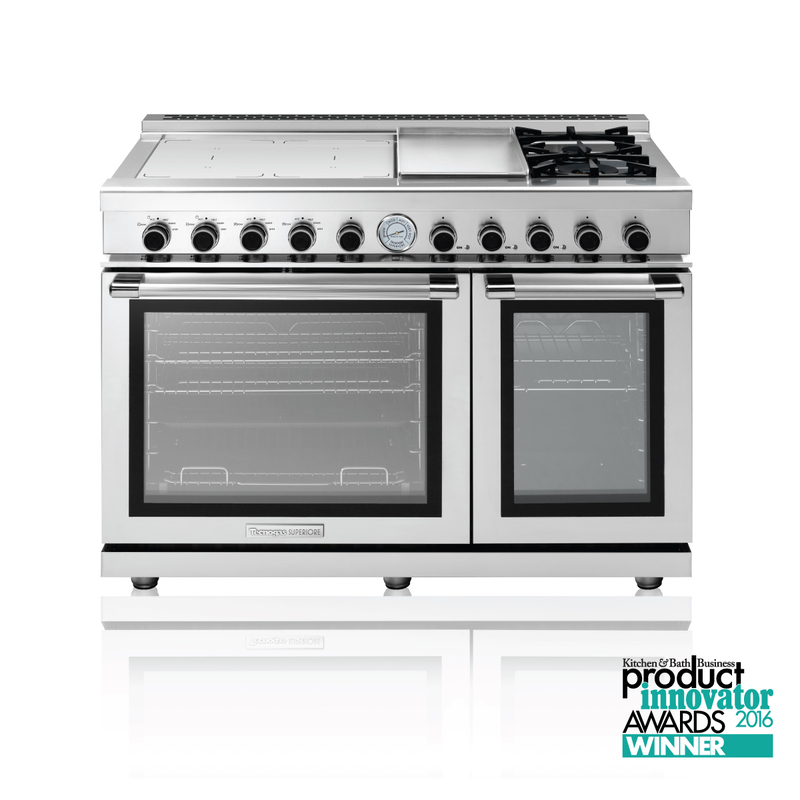 The SUPERIORE range meets all the criteria required of the Product Innovator Awards, including fulfilling a market need, engineering advancements, aesthetic merit and, of course, innovation. Our TriFuel™ range defines innovation through its versatility. Its cooktop includes three zones that offer incredible flexibility: dual gas burners, four induction zones, and an electric griddle. All this atop dual gas convection ovens in one 48” freestanding unit, allowing for flexibility in the kitchen, while maintaining our stylish Italian aesthetic. From all of us at Tecnogas SUPERIORE, thank you to KBB for recognizing the TriFuel™ range. As a brand, we strive to create innovative products that break barriers in the appliance industry and provide the highest quality in design and performance for our customers. For more on the Kitchen & Bath Business 2016 Product Innovator Awards visit kbbonline.com.